While this is not a financial seminar, per se, we will be helping you discover how you don’t have to be a financial guru to begin to turn the tide of your finances. In fact, we are going to show you how simple it is to take the one thing everyone has and turn it into an investment. We’ll show you how your budget for everyday items can turn into an investment instead of expense. And, the best part? We’ll show how this impacts not only your financial health but how it will create for you an investment in your physical health as well. What good is it to have a healthy financial portfolio while your physical portfolio is at risk? Join us Wednesday, May 1st at 8pm for Part One of our 3 part series of “Money Talk”. Click the button below to join the group “Legacy Impact Live” and be ready for this live video! Invite your friends to join as well! You won’t want to miss this life changing event! Get your savvy on with the NEW Savvy Minerals makeup! Our Silver leaders, Hannah G. and Valerie H. will share their savvy tips on how to wear Young Living’s mineral based makeup line! Why mineral makeup? What sets Savvy Minerals apart? Best application tips and learn exactly what’s inside your makeup with these savvy ladies! Join us LIVE on our VIP Facebook Group, Legacy Impact! New to essential oils? Need a refresher on what you get in Young Living’s Premium Starter Kit? 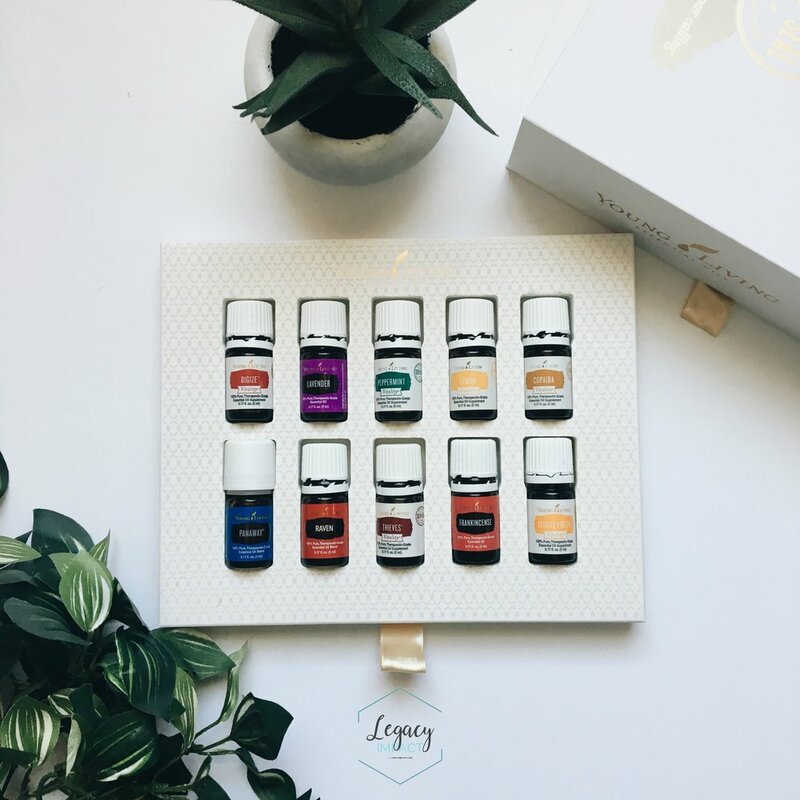 Join our Silver and Executive leaders, Whitney N. and Tiffany R. as they introduce what essential oils are, what comes in the starter kit and how you can use oils for your family’s wellness cabinet. Jump on LIVE in our members-only VIP Facebook Group, Legacy Impact! Celebrate spring break with all your summer essentials! Learn from our Silver leader, Diedra M. as she shares her biggest tips for staying healthy and using natural products during your spring and summer vaca! Everyone wants to explore how they can use more natural remedies! Ditch the toxic sunscreen, insect repellant and many other harmful products and switch the natural, safe and clean alternatives for your family! Jump on LIVE with Diedra on our VIP members-only Facebook Group, Legacy Impact! Get ready to purge all the toxic chemicals in your home! Rosemary P. will share her best tips on how you can switch over to 100% natural and clean products for your home and family without breaking the bank! 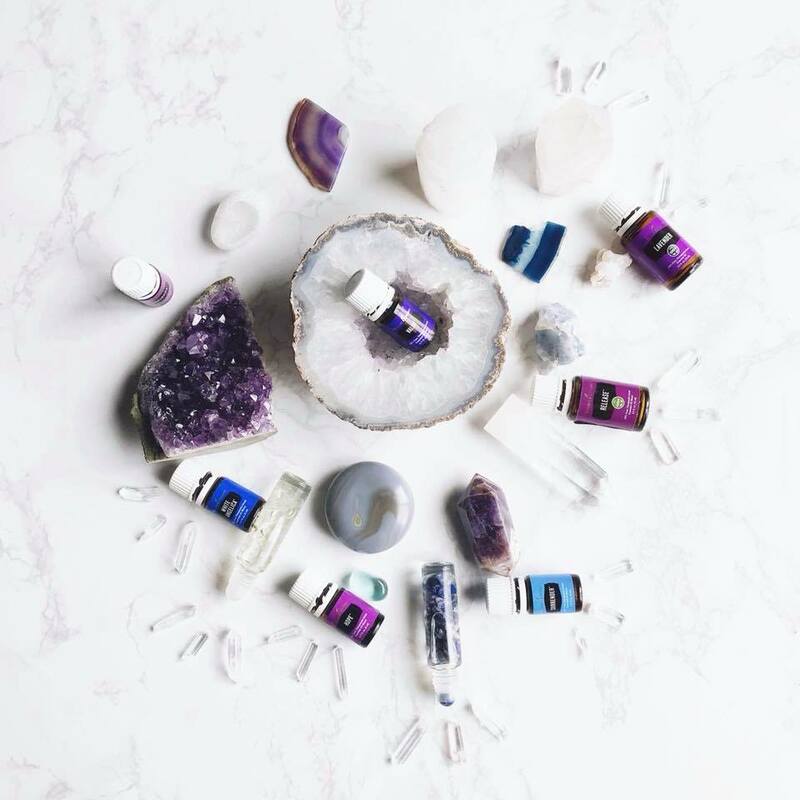 Discover the many hidden toxins in your home and how you can get rid of them with Young Living! Enjoy perks and benefits for cleaning out your home and the best uses and tips for using Thieves Household Cleaner! Join in on our VIP members-only Facebook Group, Legacy Impact! Join us as we enter the world of NingXia - the world’s #1 antioxidant superfood! Native of China, this superberry is the main ingredient in the products, NingXia Red, NingXia Nitro and many other Young Living products! Learn from our leaders, Joyce M. and Kathy B. as they share how NingXia Red supports our overall wellness and how the whole family can enjoy this powerful vitamin supplement! Join us as we welcome a guest speaker, Jess Bakken as she teaches us how we can use Young Living’s pure, therapeutic grade Vitality essential oils in the kitchen! Learn how to substitute flavors with Vitality oils and how incorporating oils into your cooking can boost your wellness and support your health! Jump into our VIP members-only Facebook Group, Legacy Impact! Who’s ready to learn about some of my favorite hacks and tips for staying well this winter🥶 ❄️ ? Join me THIS Wednesday at 7pm CST, in our VIP members-only Facebook Group, Legacy Impact! Our Diamond leader, Renee Y. will be sharing what our wellness cabinet looks like including 2 non oily things that we ALWAYS have on hand! And, we’ll be doing a give away for those who join us live! Getting the Toxins Out of Your Skincare! We all want to look younger and feel strong and healthy but harsh chemicals and toxins in your skincare can actually be harming your skin, aging you faster, and depleting your health. Learn how to spot the garbage ingredients that are harming you. A Savvy woman should never have to compromise quality for beauty. Join us for our end-of-the-year Mastermind Potluck! Locals! Join us for our annual Mastermind Potluck! This is our favorite time of year where we bring a dish to pass, and a story or testimonial to share. Or perhaps you have a gift idea or a product hack to share? How has Young Living impacted you this year? We’d love to hear it! We’ll enjoy an evening of food, fellowship, encouragement and fun! Cannot wait for this wonderful evening! Today you can walk into your local retailer and you will probably come across essential oils. They seem to be the latest fad, but did you know essential oils were found in hundreds of references in Scripture? 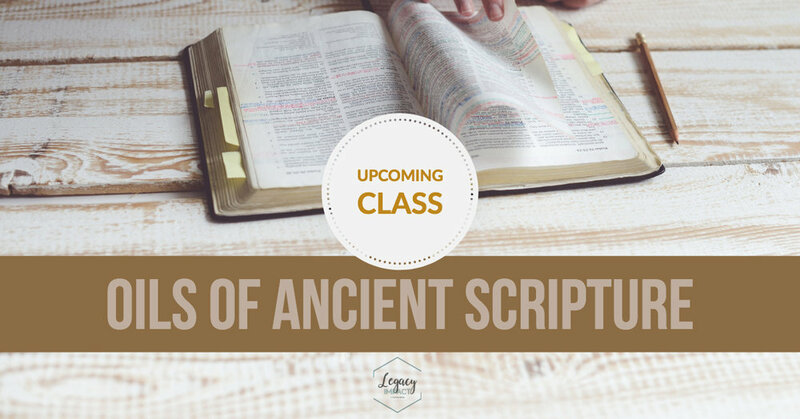 In this workshop we will take a look at the essential oils of Scripture and discover the incredible ways they were used and why they are still relevant to our lives today! You don’t want to miss this most popular class! Invite your friends and let’s take a look at the rich gifts that God gave to mankind! Girls night! This will be fun! We will be taking a look into the importance of clean makeup and why Savvy Minerals has taken center stage in the industry of pure makeup, free of toxins and nourishing for your face. Even for those who aren’t wearing a lot of make up, this workshop will show you how easy it is to “put your face” on and how wonderful it is to have makeup without compromise! With some simple tips and tricks and with the holidays fast approaching, this is a workshop you don’t want to miss! We have so many emotions that we deal with each and every day! Some are easy to suppress, some are right at the surface. We all deal with them and they effect not only our daily life, but they can also have an effect on our future. Emotions even play a large role in our physical well-being. Did you know that 85% of our emotions are encoded in our physical cells? That means that emotions not only effect our mind but our wellness too! Join us as we discover simple yet effective ways to clear emotions that hold us back while also being able to manage our emotions every day! With so many health challenges on the rise, there is no time like now to examine all the harsh chemical cleaners used every day and discover options for your home! With the news showing the long list of products containing formaldehyde and other dangerous chemicals, people are ready more than ever to kick those chemicals to the curb and switch to products that they can trust! Join us as we show you how easy it is to save money and give your home a total makeover! We’ll show you how to spend pennies instead of dollars on products that work better and feel better being in your home! Who’s ready to rock this fall? If you are ready to make the next 90 days count, we have great news! Mark your calendar 📆 for the 1st and 3rd Wednesdays of September, October and November @ 7pm CST! We will be doing Zoom classes so you can invite your friends and family! 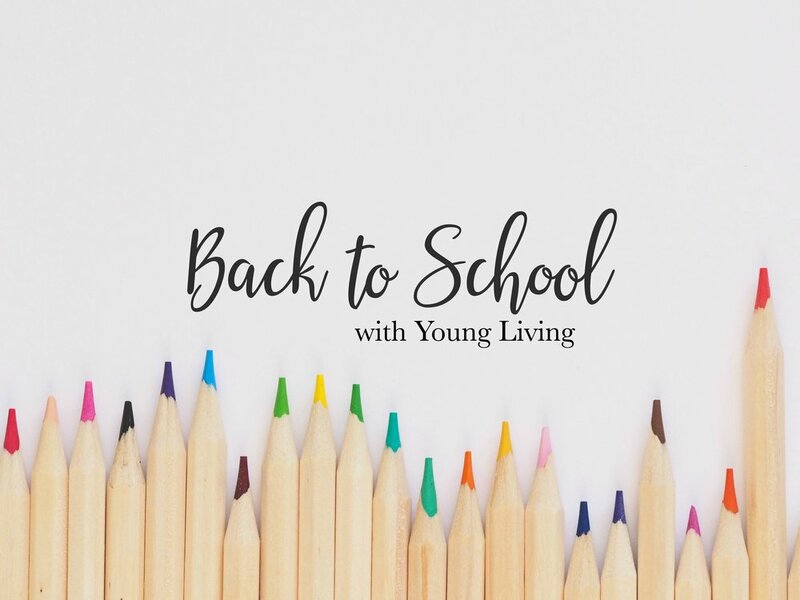 Our first class is “Back to School, Back to Work” and we’ll be teaching on “must haves” for the classroom and for home! And there are ✨give-aways✨ for all who join! Use this graphic, description and call details 👇 to invite! Location: Dial in with phone or click link on computer a few minutes before 7pm CST. Details below 👇! With Summer behind us, everyone is gearing up for getting back to school and getting back to work. With fall approaching we want to help you be ready! Join us as we learn about some simple daily tips that will make a huge difference in keeping everyone above the wellness line! You won’t have to worry about the nasties going around or using up sick days (call in well instead)! Discover how to enjoy a season of health, wellness and vitality with simple but effective steps in your daily routine! Fall is one of our favorite seasons of the year—it’s cooler than summer, warmer than winter, and the changing colors are simply gorgeous. It’s also the time of year when school starts again and the hustle and bustle of life seem to go into overdrive. With so much going on, it’s easy to let wellness take a backseat. Here are a few of our favorite products that are designed to put any student—or parent—in the right state of mind and help support wellness now that school is back in session! In this class, I will break down some of the misleading information out there and give you alternatives you can feel confident using at an affordable price! We want to help you ditch those toxic chemicals and switch to more affordable, simple and healthy options for your home and families. While summer is one of the most amazing times of year, it brings its own unique set of challenges. How do you best care for and support your body during this season? How do you protect your skin from the sun or rehydrate after long days in the water? How can you keep those pesky bugs away or survive traveling stresses that arise on family vacations and adventures? If you want easy answers to these questions, I’ve got the best kept secrets for summer travelers just for you! Join me from your couch to get a better idea of what is lurking in your cabinets and learn how easy it is to save money AND take care of your body at the same time! Invite your mom or bestie to join in on this fun informative class, click the button below to join our online Facebook class! Are you excited that summer is coming, yet so over the days of sunburns, bug bites, and travel mishaps? Join us for a weekend retreat as we invite Royal Crown Diamond, Monique McClean to share with us some inspiring messages to experience growth and abundance with your business. We will be focusing on what it takes to Rise not only in Young Living but in your personal, spiritual and relationships as well. Got My Kit, Now What? This event is for members and guests who want to learn how to best take advantage of all Young Living's wholesale membership. This is a FREE event! Come join us as professional makeup artists help you match your makeup and teach you about Young Living's new Savvy Minerals makeup line. We are excited to learn about the toxic-free makeup and how to help you feel confident without compromise. Join us for the first Young Living Rally post the International Grand Convention! We will have new products for you to see, testimonies, new product releases and much more! We strive to develop a community of people looking to transform their health by bringing educational workshops and events that will help them in their journey to health, wellness and vitality. Are you wanting to make 2017 a year of abundance, growth and health, spiritually, physically and financially? Then, join us for our Mastermind FOCUS group on Monday, April 24th from 7pm - 9pm at the State Bank of the Lakes in Antioch, IL. * Brainstorming - we all grow strong when we grow together - come with ideas and help us make 2017 the best year yet! Light snacks and drink will be provided. Resource material will be available for purchase as well. Join us for our monthly Mastermind Focus Group meeting! We invite all members who are interested in learning how to maximize their Young Living membership to join us in this monthly class where we share product information, strategies for growth both personally and financially. Join us in sharing the message of Young Living for abundant health in body, mind and spirit! Our Mission: Coming together for a common purpose and with uncommon unity to achieve unlimited potential in physical, financial and spiritual abundance for every family and for the generations to follow. Make 2017 the year of breaking through barriers, unity of purpose and strengthening each other so that we can reach our spiritual, physical and financial goals! This is a full event pass to the very first stop on the Gameplan Book Tour! Sarah Harnisch went from Starter Kit to Platinum in 17 months with Young Living, and wrote an Amazon best-seller on how you can do it too! For the very first time, she'll be speaking on a limited book tour in Chicago and Texas. Gameplan has sold 160,000 copies in 4 weeks and has held 4 of the top 20 spots on Amazon for 10 weeks, even winning an award as a best-seller. Be part of the fire! Doors open at 6 p.m. central time. The event begins at 7 p.m. Sarah will speak from 7-9 on the topics above, and will be available for book signings and photos after the event. There will be Gameplan books, workbooks, Your Gameplan (mini) books, DVD's, audiobooks, and thumb drives with her scripts in the atrium before and after the event. Many of these items are not yet for sale on Amazon. Shopping is available from 6-7 and 9-10pm. Cash, check, and credit is accepted. This event is open to anyone: upline, downline, crossline, any rank, oilers and non-oilers, Young Living Distributors and network marketers from other companies (though the content is Young Living specific.) There will be no food or drink on site, so eat before you come! Note: We do expect this event to sell out! If you tried to get tickets but they were already gone, check out her other resources. Sarah does a Tuesday night roundtable on Facebook Live at 8:30 p.m. eastern every week. The oilabilityteam.com site is loaded with a FREE 25-day bootcamp with Sarah as your personal business coach. There's also a free audio 101 class you can download and burn to hand out, and free marketing images and essential rewards images. Find it all at oilabilityteam.com! Hosted by Shannon Hudson, this event is must-see to learn team building and product education! Tickets are $35 but $15 for the first 6 people who purchase.